Over the last six decades, ESO has risen to its prominence in ground-based astronomy mainly due to its smart, dedicated, and hard-working staff. One such staff member is Jean Louis Lizon, former head of the Cryo-Vacuum Integration group. He’s been at ESO for more than 37 years — and in that time he’s seen six Director Generals, installed more than 40 different instruments and instrument sub-systems, travelled to Chile 132 times, and spent more than 2000 days on top of La Silla and Paranal. We chatted with him about his long career. Q: You’ve been at ESO for 37 years — could you tell us how you first joined the organisation? Jean Louis Lizon with the EMMI instrument at the Integration Laboratory at ESO Headquarters in Garching, Germany. A: I studied optics and opto-mechanics in high school, then began working at an industrial company in Paris doing optics for military equipment. This gave me five years’ technical integration experience, making me well suited when a position opened up at ESO. I was definitely tired of living in a large city, so when I found an announcement for a position at ESO in Germany, I applied with the idea that three years abroad would be very good, especially since my wife and I had one child and were planning an additional one. It was a break that was also optimal for the family. Q: What has been your role at ESO, and did it change over the years? A: I started out responsible for instrument integration. After two years, the cryogenic expert, who was responsible for the technology that cools instruments, departed and I was offered his responsibilities on top of my existing duties. Back then, ESO was a small organisation where everybody knew each other, but slowly over the years activity grew, especially in regards to the Very Large Telescope (VLT). We appointed more staff and I became the supervisor of the Cryo-Vacuum Integration group (CVI). I supervised the group for over 15 years. As a cryogenic expert, I was first responsible for finishing IRSPEC. 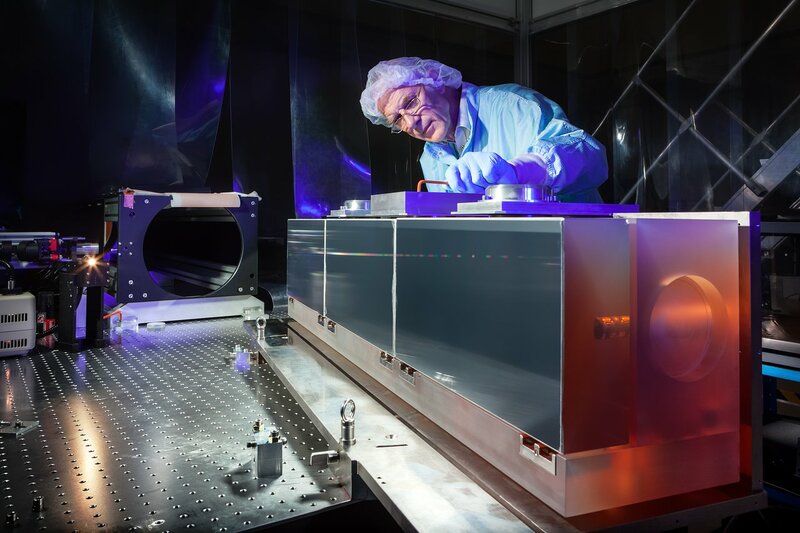 At the time, it was the first big infrared instrument, so it needed one of the largest cryostats in the world — this is an apparatus to maintain a very low temperature and thus reduce noise and increase sensitivity to improve the instrument’s performance. In the specific case of infrared instruments, it is necessary to cool down the complete instrument in order to see the light from the stars and not the light emitted by the warm surfaces of the instrument itself. So we went from a time where most infrared instruments were still portable to a one-tonne cryostat. 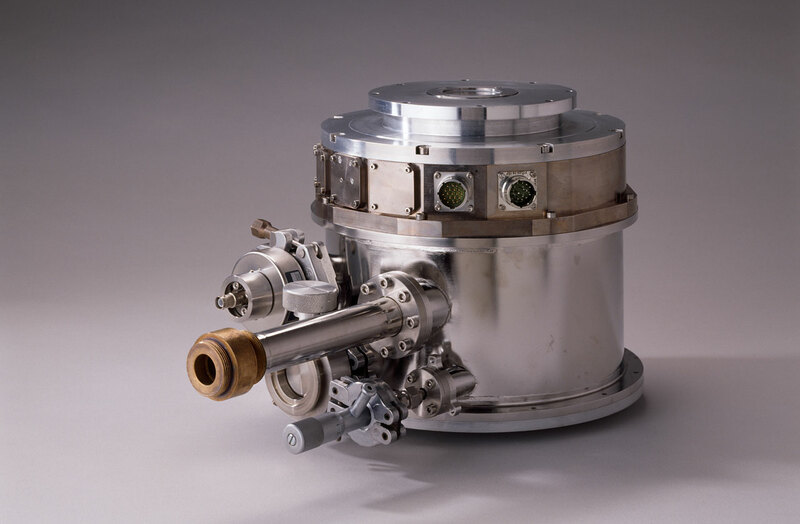 It was also the time where electronic detectors like CCDs became available, which meant that as a cryogenic expert I had to develop the cryostat to host this new type of detector. 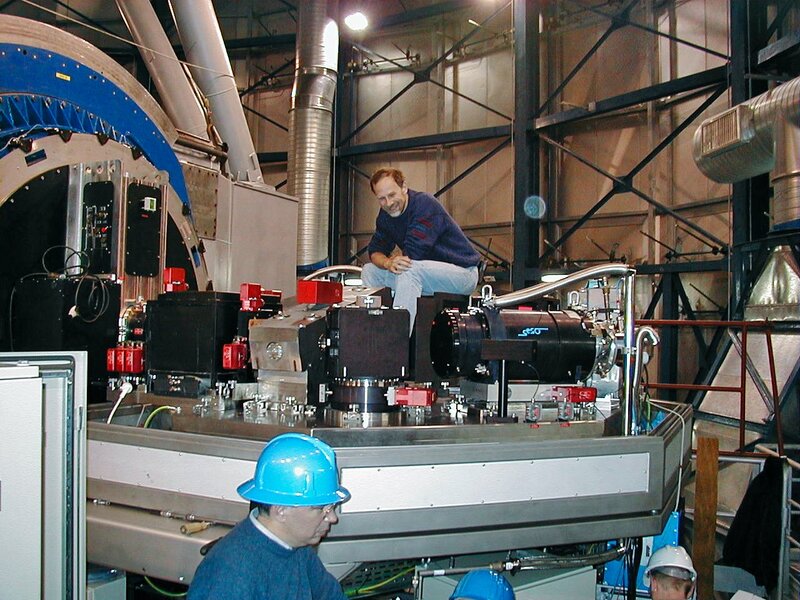 I first used what was commercially available and later, in 1990, began to develop ESO detector cryostats. Q: You have seen four decades of instrumentation at ESO. Over these years, which instrument was most significant to you? A: Most probably ISAAC, the first ESO instrument on the VLT. It was a serious challenge to go from a cryogenic instrument for a 4-m class telescope to a cryogenic instrument for an 8-m telescope class. It is also an instrument which — despite some technical problems — was extremely popular and remained in operation for 12 years, with a very high number of scientific publications. ISAAC is even more significant because it allowed us to gain experience in developing cryogenic mechanisms, which we then used to build a simpler version for the New Technology Telescope in just 12 months. This instrument, SOFI, is still in operation after almost 20 years. Parts of the ISAAC instrument before integration. 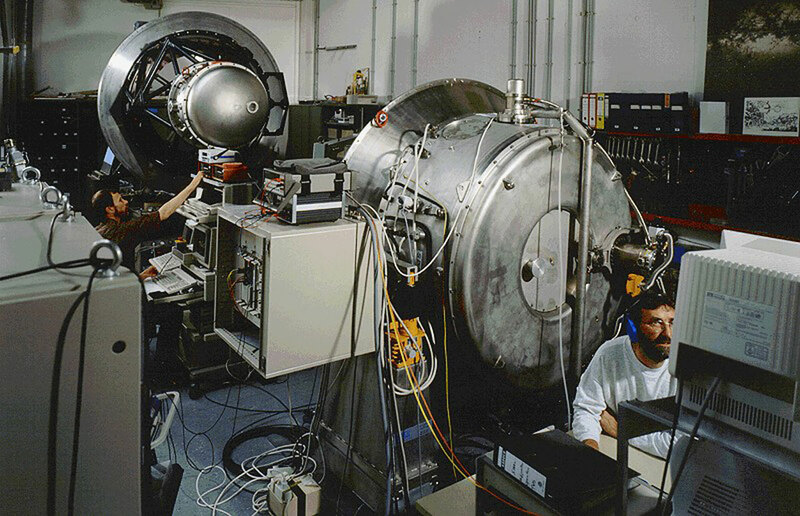 The ISAAC instrument undergoing thorough technical tests in the Infrared Laboratory at the ESO Headquarters. Final integration and testing of ISAAC (foreground) and SOFI (background) at ESO Headquarters in Garching, Germany in June 1997. Q: You’ve contributed to many ESO technologies that push the limits of astronomy. Are there any technologies that you’re particularly proud of? This cryostat can be built very compactly due to the continuous-flow technique. This cryostat was built in the early 1990s. A: There are a few in various areas. I would mention the continuous-flow cryostat, which is a device where liquid nitrogen, the substance used to produce very low temperatures, is constantly replenished. This has been the subject of a technology transfer and has been used already in a number of applications outside of ESO — such as in the fibre-speed spectrograph installed at the Korean Astronomy Observatory (KAO) in 2000, the first test camera of the Gran Telescopio CANARIAS, and CARMENES spectrographs in Spain. In optics, I would also mention the mosaicking of gratings, which is a technique that allows us to build large gratings by “stitching" together smaller pieces. These are easier to manufacture and it is also done for detectors, too. Some development had already been done 35 years ago, but I have improved on this technique for ESPRESSO’s grating in the last few years. The huge mosaiced diffraction grating at the heart of the ultra-precise ESPRESSO spectrograph is pictured undergoing testing in the cleanroom. Q: ESO is becoming less involved in the construction of instruments — do you think that’s a good thing? A: No, I think it even may be dangerous. ESO might lose experience and know-how. What we are doing, especially in the instrument field, is only prototyping. We have to take some technical risks and need a lot of technical developments. Over the past two or three years, I have been giving some training in the field of cryo-vacuum instrumentation, where I am trying to transfer part of my 40 years of experience to new engineers from all over Europe. They are an extremely good and active group — so I have no doubt that with the European community, ESO will succeed to build the new instruments such as those for the ELT. 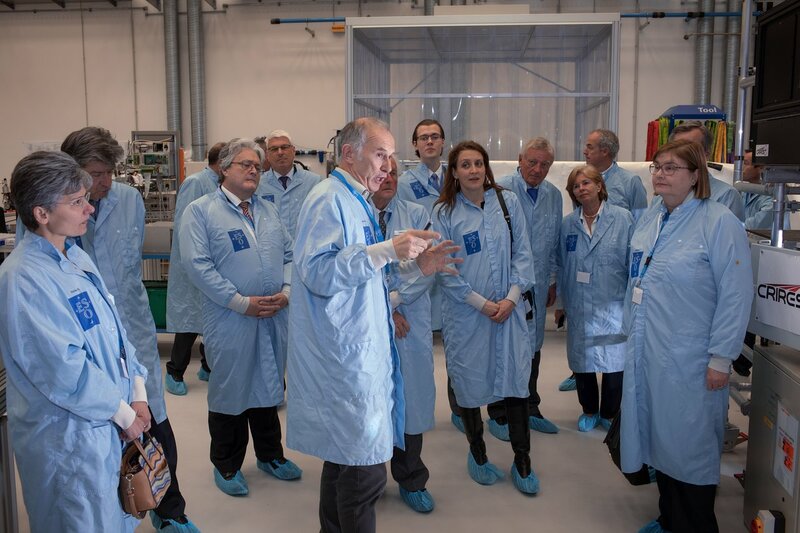 Jean Louis Lizon, at the centre of the image, guides the members of the Consular Corps in Bavaria through integration hall in Germany, where instruments are prepared before being installed on ESO’s telescopes in Chile. However, I am concerned about ESO’s own contribution. Even to judge a design, a certain level of technical experience is needed, so if ESO moves further away from doing practical work on instruments then this seems risky — plus it may lead to a loss of the contact with the technical reality, meaning we might ask instrument group to achieve performances that are not realistic. Q: You gave a recent talk at ESO with the quote: “No Risk, No Glory.” What is the biggest risk you took at ESO? A: In general, I advocate taking calculated risks in order to deliver instruments on time and working. One serious risk I faced was installing, integrating and aligning the MUSE instrument on the VLT’s Unit Telescope 4. I was responsible for organising and supervising the transport of the unique instrument — worth some 12 million euros! — from Paranal basecamp to the telescope on the summit. Another significant risk was getting the 12 cryogenic mechanisms working on ISAAC where we had to develop parts of the technology ourselves as there were no affordable off-the-shelf solutions. 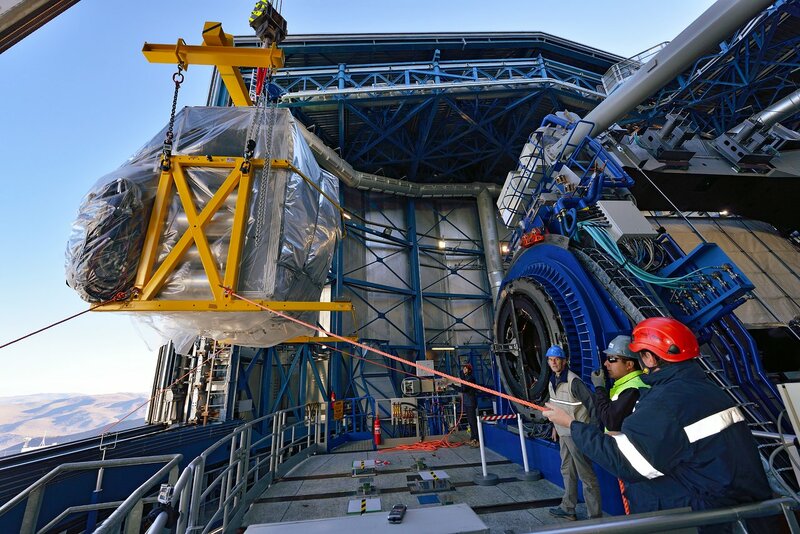 This picture shows the MUSE instrument being lifted into the dome of Unit Telescope 4 at ESO’s Paranal Observatory in Chile. Q: What has been your favourite moment working at ESO? A: My favourite moment is one that repeats itself — every time an instrument is installed on the telescope and the instrument scientist sends me out and asks me not to touch the instrument anymore because she’s excited and wants to start science with it! Jean Louis Lizon takes a short break amidst the new VLT instrument UVES, the Ultraviolet and Visual Echelle Spectrograph. This photo was taken in 1999. Q: You must have gathered some stories of your time at ESO: are there any you’d like to share? A: I have a plenty but one, in particular, has come to me. After 12 very intense days of integration of IRSPEC at the ESO 3.6-m telescope at La Silla, we cooled it down. 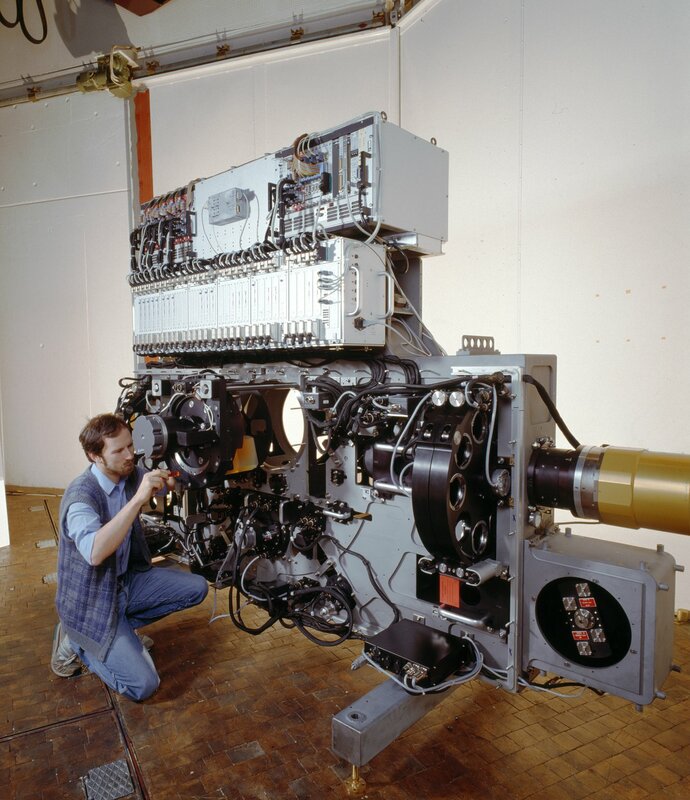 At that time, in the mid-1980s, IRSPEC was one of the largest infrared spectrographs ever built. Unfortunately, we did not get any light on the detector. We thought that it must be an alignment problem — but we simply forgot to remove the protection of the infrared detector! It took three more days of warming up, opening, correcting, closing, evacuating and cooling down to finally get a signal. 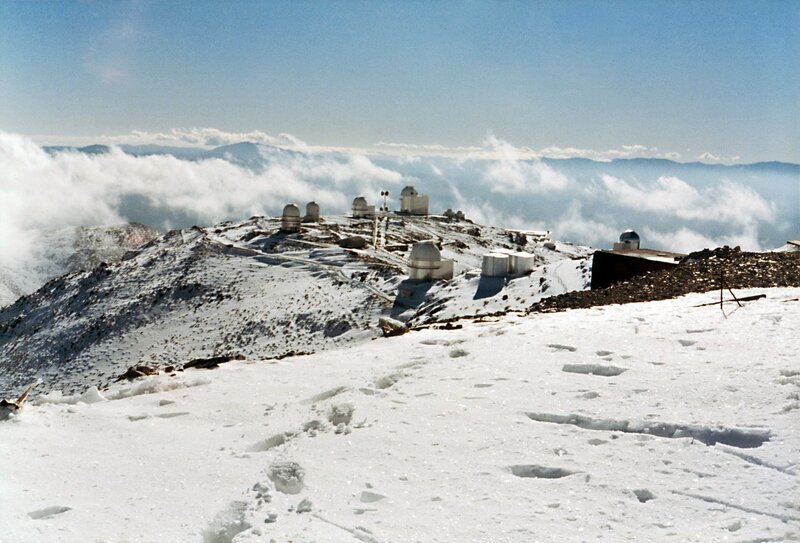 I have also been faced with many strange and memorable situations, such as an evacuation of the La Silla Observatory due to heavy snow in 1983. I have also been stuck for a week at Paranal after the strong earthquake in 2012. Back during my first mission at La Silla, we had only one daily radio contact with Santiago, with no telephone and no other way to communicate…such a difference to today, when everybody is lost after two hours without internet or phone connection! La Silla after a snowstorm. Jean Louis Lizon was one of the ESO staff who was evacuated from La Silla due to heavy snow in 1983. Q: What is your plan for the future, what will you be doing during the next few years? A: I will first and foremost spend some more time with my family, who I neglected a bit during all these years. I will continue to collect plants for my herbarium and also to hike mountains. Of course, I will also continue to answer technical questions and contribute some technical support to the community. Q: And finally, what’s your advice for young engineers? A: What I always say: do not hesitate to take some risks and to try. Do not be afraid to work and to fail. Number of years Jean Louis has worked at ESO. 132 Number of times Jean Louis visited ESO’s sites in Chile. 40 The number of instruments and sub-systems Jean Louis helped install. 12 million euro Cost of the MUSE instrument Jean Louis was responsible for during its trip to the VLT on Paranal. 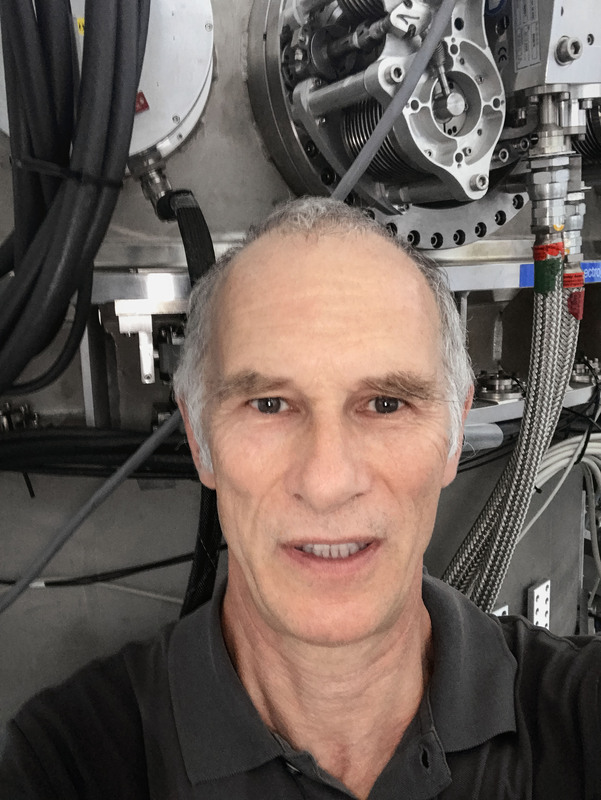 Jean Louis Lizon has been a member of ESO staff for more than 37 years, leading the Cryo-Vacuum Integration group (CVI) for more than 15 years. He mainly works in opto-mechanical integration, including the optical alignment of instruments and the development, integration and testing of cryo-vacuum systems. During this time, he has installed more than 40 different instruments and sub-systems at ESO. This was done during 132 trips to Chile and meant spending more than 2000 days on the top of the two mountains, La Silla and Paranal. People@ESO shares stories of the people at ESO who are driving forward the world’s most advanced ground-based telescopes. Find more blog posts from guest bloggers and interviews with astronomers here on the ESOblog.